Your Chester County Library System (CCLS) card may be used to check out materials at Phoenixville Public Library and at any other System Library, as well as to use our public computers and access electronic resources and databases through the CCLS website. To receive a library card, you need only fill out an application online or at the Circulation Desk, and present a valid photo ID verifying your current address. 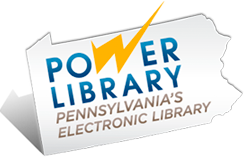 You are eligible for a free library card if you live in Pennsylvania. Out-of-state customers can still qualify for a free library card if they work or attend school in Chester County. Otherwise, an out-of-state fee of up to $20 may apply. Your total checkouts may not exceed 100 items at any one time. Children’s Holiday books are limited to three (3) books per subject. Children’s books are limited to three (3) books per subject when there are known school projects. Total fines exceeding $9.99 must be paid in full in order to check out additional materials. To rent R-rated DVDs or M-rated video games: you must show proof of being 18 years of age or be accompanied by a parent or guardian. This policy applies to all DVDs/videogames checked out at Phoenixville Public Library, regardless of owning library. To borrow mobile hotspots, museum passes, and Launchpads/tablets: you must be 18 or older, have an up-to-date library card and registration form, and have an account in good standing (i.e., cannot owe more than $9.99 in fines or fees or have any other restrictions). Only one Launchpad/tablet per household may be checked out at any one time. Hotspots and Launchpads/tablets must be returned in good working condition with all accessories present (incl. case, charger, and cable). The Library is not responsible for personal information left on a device. Library materials may be renewed in person, online, or by calling 610-933-3013, ext. 121. Rental charges are assessed where appropriate. Museum passes, Launchpads/tablets, 7-day books and items on hold are not renewable. The renewal date is calculated based on the date the item is renewed, not on the original due date. Hotspots may be renewed but first must be returned to the Adult Circulation Desk and the rental fee paid. You are responsible for overdue fines and replacement costs of lost and/or damaged materials (and their containers) borrowed on your library card. Materials may be returned to any Chester County System library. Bookdrops are available outside the building for returning books and magazines at any time. Hotspots, museum passes, Launchpads/tablets, software, DVDs, videogames, audiobooks and music CDs must be returned to the Circulation Desk. See the “Help” section of OverDrive for information on renewing eBooks and eAudiobooks. You may place a hold on most items at Phoenixville Public Library, or hold an item from any Chester County System library, by filling out a form at the Circulation Desk or by placing a hold in the online catalog. Forms are also available online that may be used to request magazine articles or items that are not available in the Chester County Library System. You will be notified by phone, e-mail or text when the material is available. Note: The owning library may refuse a hold request. Hotspots and museum passes are reservable online at www.phoenixvillelibrary.org, in person, or by phone.